What is this woman doing? 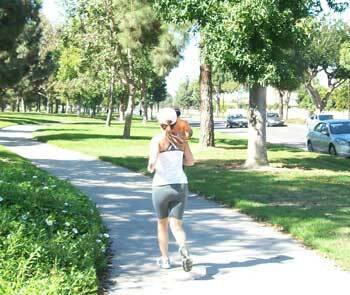 She is weaing a jogging outfit and jogging shoes. 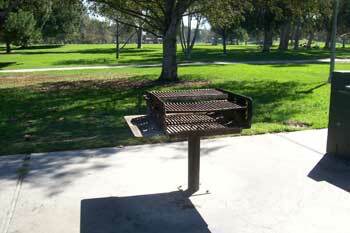 Does this park have grills? You can grill hamburgers, hot dogs, and steak on this grill. 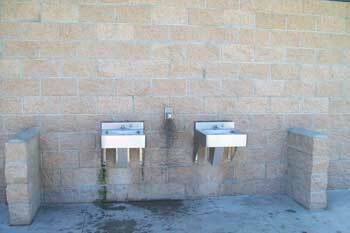 You can get a drink of water here. It's important to drink lots of fluids when it is hot. Copyrights to the pictures and photos on this ESL and EL Civics website belong to individual photographers. We have purchased the rights to use them. Do not copy the images on this education website. You may print any of the worksheets for classroom use or home study. Contact Christina Niven, ESL teacher, at christina@elcivics.com. Please send corrections and requests for new lifeskill lessons. Copyright © Christina Niven, 2007.